A guiding vision of Sites at Penn State is to give anyone at within the university a way to publish on the web and express themselves. Part of that expression includes the visual aesthetic of your content. On Sites at Penn State you are free to chose from 58 different themes. In this post I’ll highlight 9 of these themes we offer which make it incredibly easy to create a beautiful blog almost instantaneously. 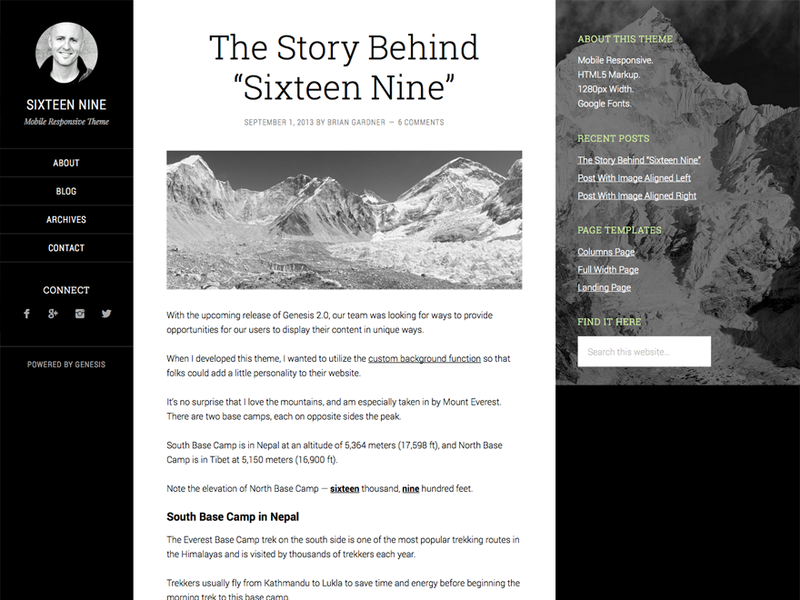 The Sixteen Nine Pro theme is a simple blog theme which allows for a custom background and an optional left sidebar. 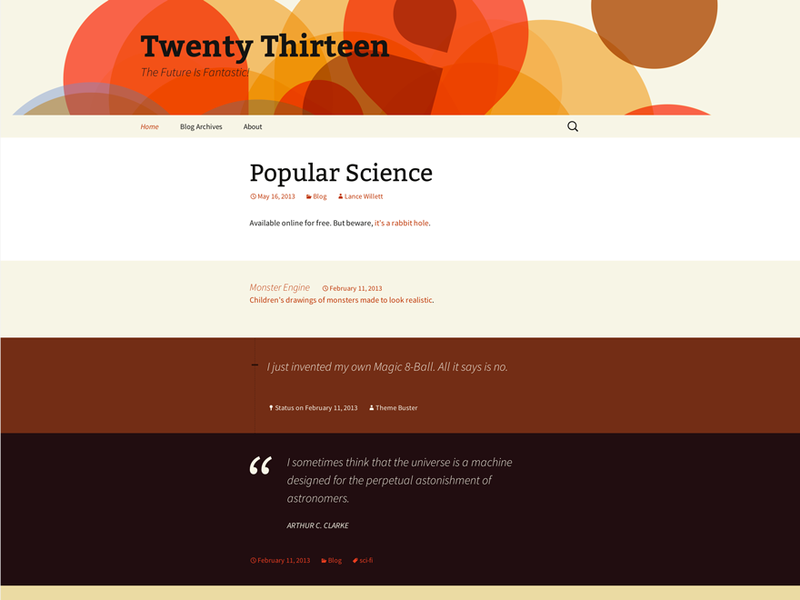 Twenty Thirteen is a default WordPress theme with large type and a vibrant color scheme. Be sure to use post formats to get the full potential of this theme. 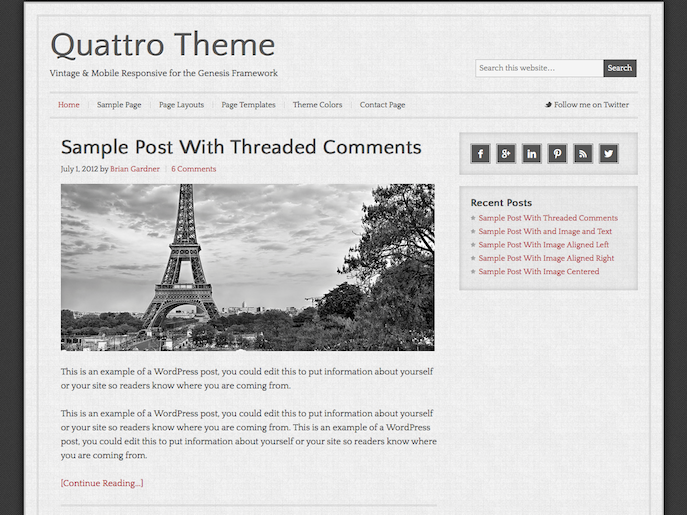 Quatro is a theme with a craftsman like look and modern design, along with a vintage background in the content. 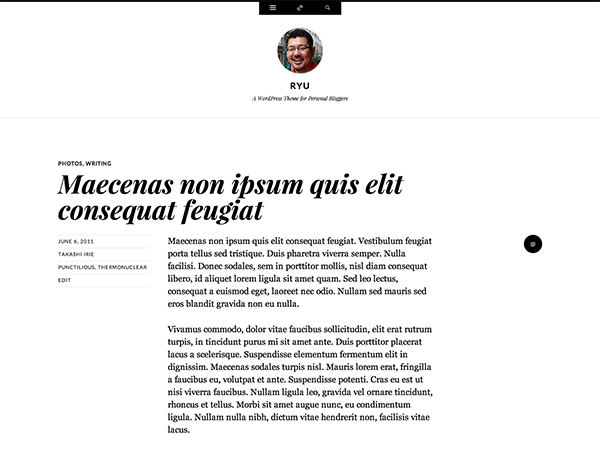 Ryu is a clutter-free theme for personal bloggers. 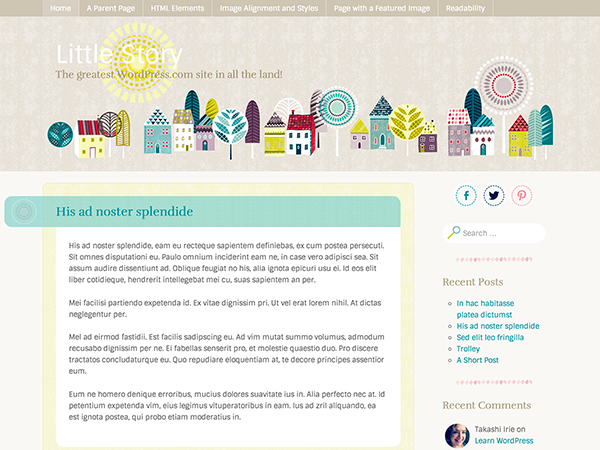 It has great readability with a large font size, and the one-column layout is perfect for displaying large images. Ryu is a new-comer to Sites at Penn State, so we don’t have any specific Penn State examples however feel free to browse the official Ryu demo site. 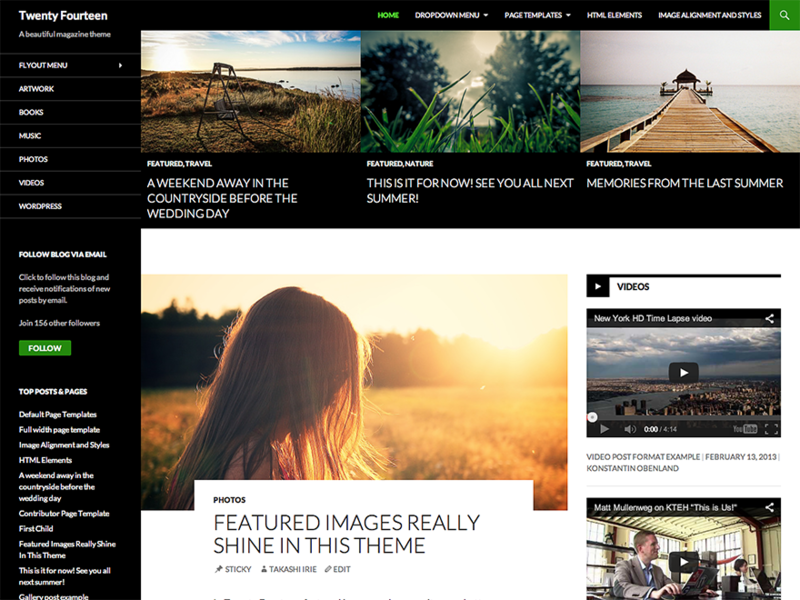 Twenty Fourteen is another default WordPress theme. It is focused on creating a magazine type website with areas for featured content, but is also simple enough to be used as a minimalistic blog theme. 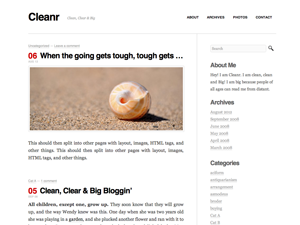 Cleanr is clean, minimalistic, and ready to start using immediately. 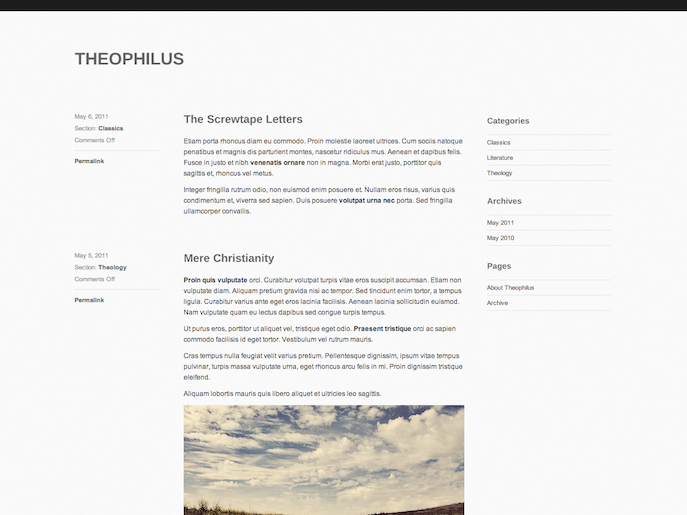 It also includes an easy options panel which allows for quick a quick way to customize the headline and body font. 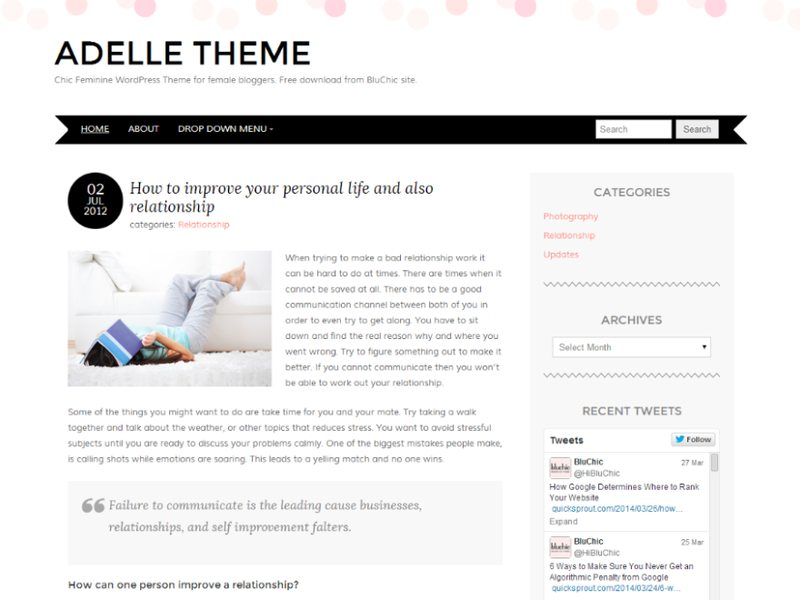 Adelle is a soft, minimalist two-column theme with a pink confetti header and ready for your to begin blogging immediately. Adelle is another new-comer to Sites at Penn State, so we don’t have any featured Penn State sites however feel free to checkout the official Adelle demo site. Sites at Penn State is powered by WordPress, an open-source web publishing platform supported by thousands of contributors around the world. Sites at Penn State is hosted by a third-party vendor, CampusPress (Edublogs). The service is managed and supported jointly by CampusPress and Penn State IT. This service was first launched as a teaching and learning resource by Teaching and Learning with Technology in 2012. Penn State IT does not monitor Web pages and does not assume responsibility for content. The authors of Web pages are responsible for the content of their pages. Use of this service is governed by Penn State policies and guidelines including Penn State IT Web Services Policy.